The Flow Technology DC-F Series of sanitary in-line flow meters is ideal for liquid flow applications in the food, dairy, and pharmaceutical industries. The Flow Technology DC-I Series of industrial in-line flow meters is ideal for a wide variety of liquid flow applications. These applications include, but are not limited to, paints, resins, petrochemicals, lubricants, fuels, polyurethanes and adhesives. 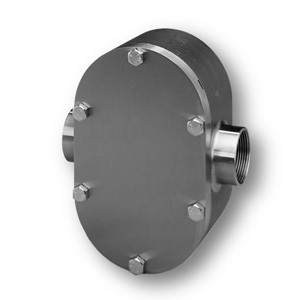 These flow meters are both highly accurate and easily adaptable to most industrial applications. The Flow Technology DC-E Series of in-line flow meters provide economical, easy-to-use flow measurement. Many customers do not need the wide array of options that the DC-I Series offers. Therefore, Flow Technology has removed all but the most commonly used features and streamlined the manufacturing process to deliver an economical, industrial flow meter that is accurate and reliable. The Flow Technology TrickleMeter® is ideal for measuring very low flows of low- to high-viscosity liquids. 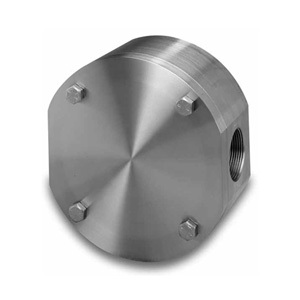 Its positive displacement design provides rugged, reliable operation for a variety of industrial applications. The SRP sensor is specially matched to the TrickleMeter® providing a reliable pulse output at the full range of flows. The Flow Technology patented, highly accurate HP-I Series positive displacement flow meter is ideal for liquid flow applications where process pressure is above 1,000 psig. Applications may include hydraulics, polymers, polyurethanes, plastics and adhesives. The Flow Technology patented, highly accurate BL Series positive displacement flow meter is ideal for high pressure applications, such as methanol injection. By eliminating the need for high-strength fasteners, Flow Technology’s unique boltless pressure vessel design provides inherent corrosion resistance in a compact, easy-to-maintain package. KRAL’s Volumeter® flow meter guarantees the extremely accurate measurements as well as smooth and responsive operation. It has no problem in following any rapid fluctuations in the flow caused by pulsations. The extremely sturdy design protects the meter from external influences, such as plant vibrations and harsh service environments.